Gregor undertook his Radiology training at Imperial College in London following which he completed a years Fellowship training in Musculoskeletal Radiology at the University of Toronto. He is currently practicing as a Consultant Radiologist at the Royal United Hospital, Bath. Gregor’s main areas of interest are musculoskeletal, sports and trauma imaging, as well as musculoskeletal guided intervention. 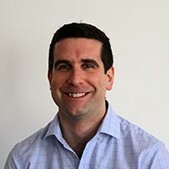 He also works at the Royal National Hospital for Rheumatic Disease, and, with his musculoskeletal colleagues, performs imaging and intervention for all sports, musculoskeletal and rheumatological disorders. He provides services to elite sports persons, including Bath Rugby and athletes from the English Institute of Sport.